Although the 1080p resolution BenQ MH741 is meant primarily for business and education, it actually handles video and games better than some 1080p projectors sold as crossover models for home and business. It has some shortcomings for video image quality, but it also shows fewer rainbow artifacts with video than you'd see on most DLP data projectors. Priced at $899, the MH741 is less expensive than some of its more direct competition. Its bright 4000-lumen light engine packs enough wallop to light up a 140" screen either indoors or in your backyard at night. And at 7.25 pounds, it's light enough for transportable applications. 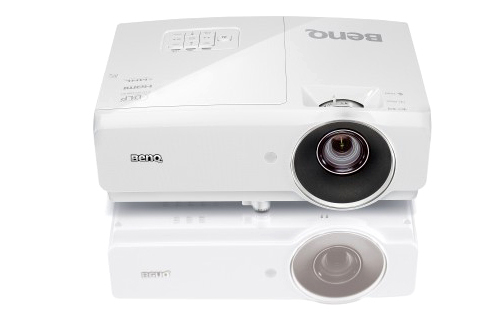 As with most business projectors, the BenQ MH741 is designed to give relatively better quality for data images than video, showing even fewer rainbow artifacts with static data images than with video, for example. 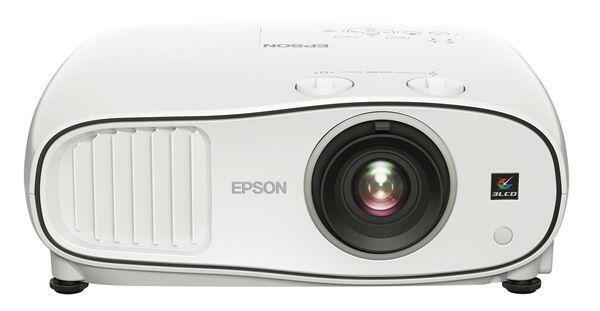 Among the projector's best performance attributes is how well it handles detail in data images. White text on black was crisp and readable at 6 points, and black text on white was highly readable at 4.5 points. The image was also rock solid. Test images designed to bring out pixel jitter and moire patterns showed neither on the MH741 even with an analog (VGA) connection, leaving no room for improvement when we switched to a digital (HDMI) port. All four color preset modes--Bright, Presentation, sRGB, and Cinema--have enough of a differential between white brightness and color brightness to give at least some colors in each mode a dull, dark look. However every mode also includes at least some colors that look vibrant, and all colors are nicely saturated. In addition, color balance is excellent in three of the four modes, with neutral grays at all levels from white to black. The exception is Bright mode, which has a slight yellow bias. Even in Bright mode, however, color balance is acceptable, with the same degree of bias across the entire range from black to white. For business presentations and similar static images, overall color quality is good to near-excellent. Cinema mode delivers the most vibrant color for images like PowerPoint slides and graphs. Bright mode offers the highest brightness for images with a white background, like word processing documents and spreadsheets. For photos and full motion video, colors are a little dull in all modes. The test unit also showed a slight green bias. However, the color was well within a reasonable range, particularly for the sRGB and Cinema modes. 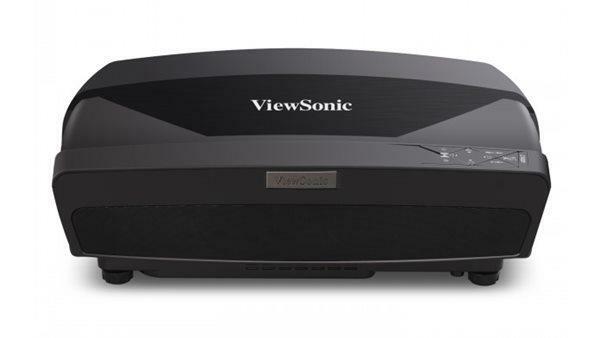 Most people would only notice the bias in a side-by-side comparison to a projector with better color quality. Rainbow artifacts are not an issue for data presentations. They showed easily with one test image that's designed to bring them out, but that's the only time I saw any in my data image tests. With video, I saw so few rainbows in well-lit scenes--including clips where they tend to show--that it's hard to believe anyone would consider them a problem. However, they did occur often enough in a dark night-time scene and in a black and white clip that anyone who sees them easily could find them occasionally bothersome, depending on the source material. 2D video shows a bit more panning judder than on some projectors, but--as with the rainbow artifacts--not enough to consider a serious problem. It also shows a hint of posterization in clips that tend to bring that out. More important is that even in clips that don't show obvious posterization in the form of sudden changes in color, there's a loss of the more subtle shading that helps to make objects look three dimensional even in 2D. Arguably the most important limiting factor for video display is digital noise. It was obvious enough in most of my test clips to be hard to miss, showing in almost all extended areas without detail, like walls or sky. Depending on your tastes--and possibly depending on whether you were brought up with the noise inherent in broadcast analog TV--you might or might not consider it acceptable for extended viewing. 3D video offers essentially the same quality as 2D video for those aspects of image quality that both share, with only the typical drop in brightness that comes with 3D. Beyond that, I didn't see any crosstalk, and saw only the barest hint of 3D-related motion artifacts.